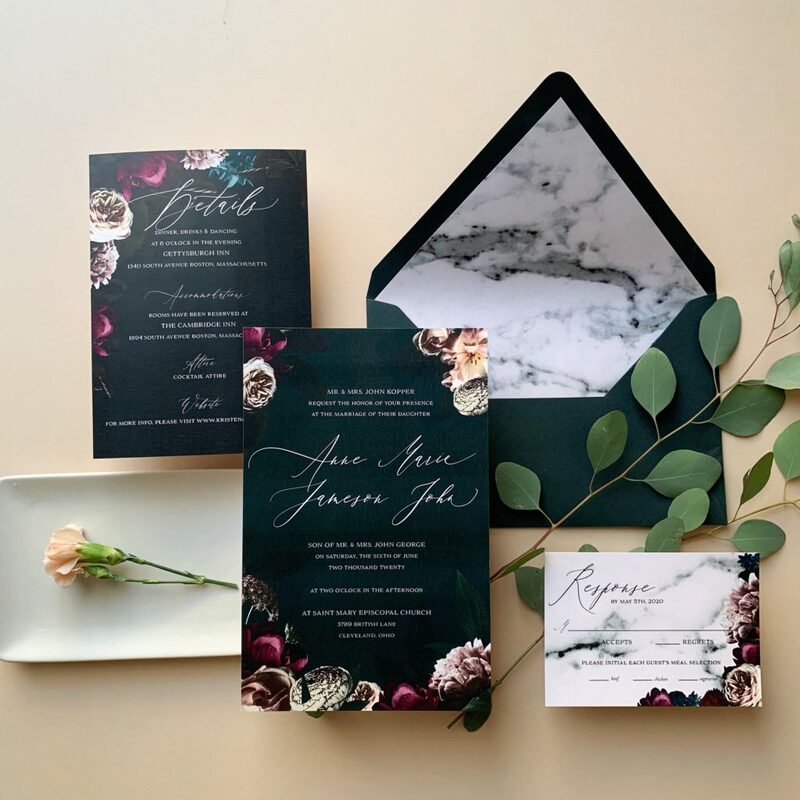 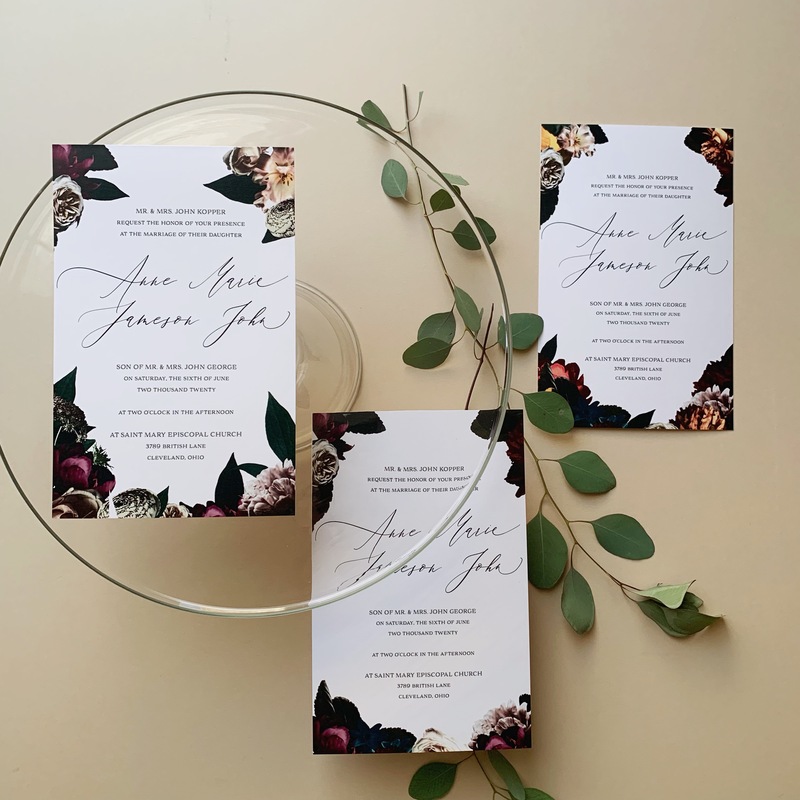 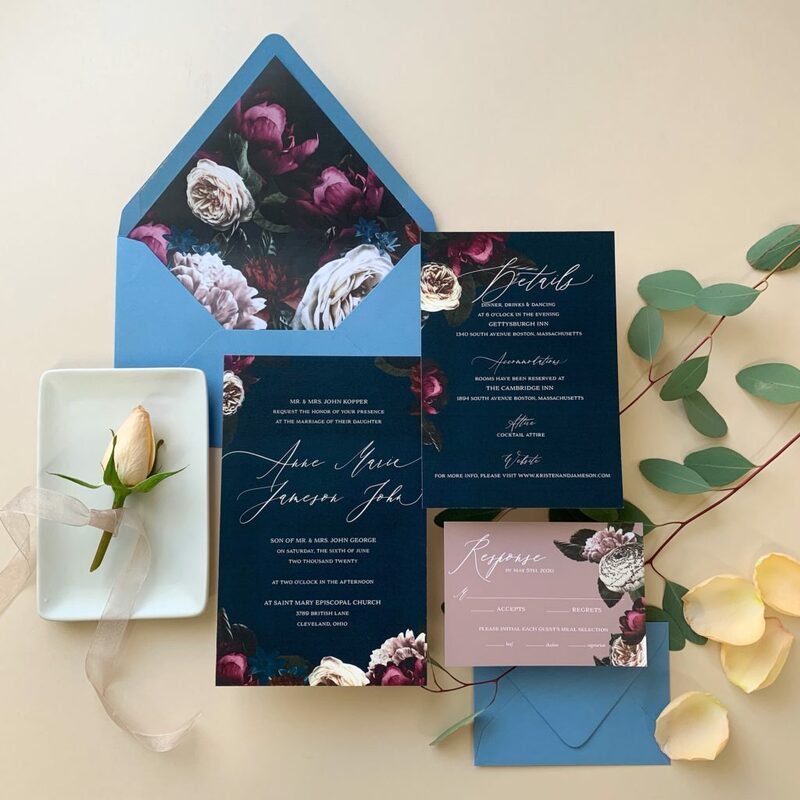 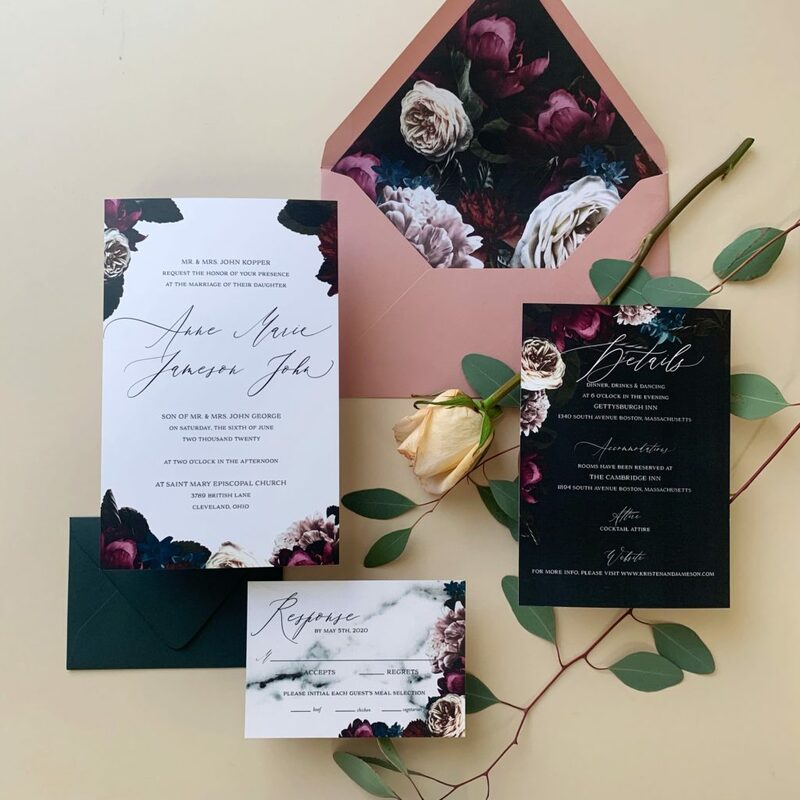 The Kristen Suite showcases a unique photo-realistic floral design in your choice of floral colors paired with a hand-lettered font. 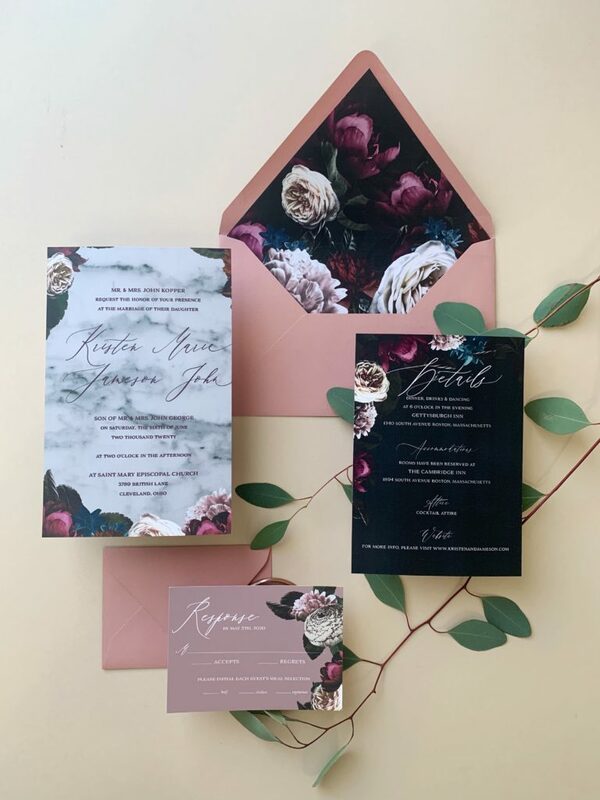 Kristen includes 3 cards with your choice of color printing along with your outer envelope, response envelope, and envelope liner. 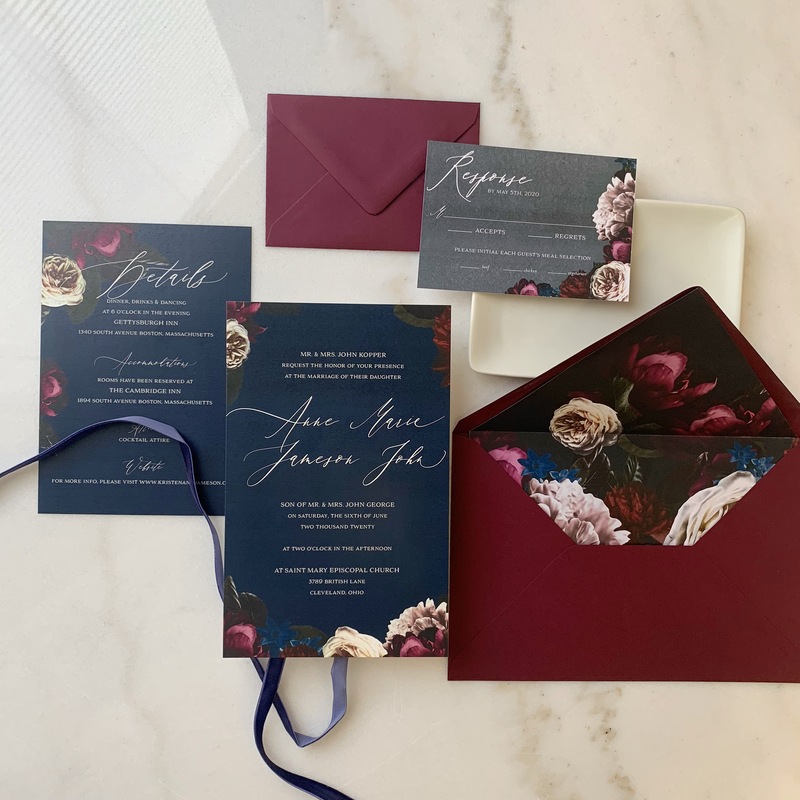 Your custom text will be hand-lettered and scanned into your Kristen suite in the color that you select. 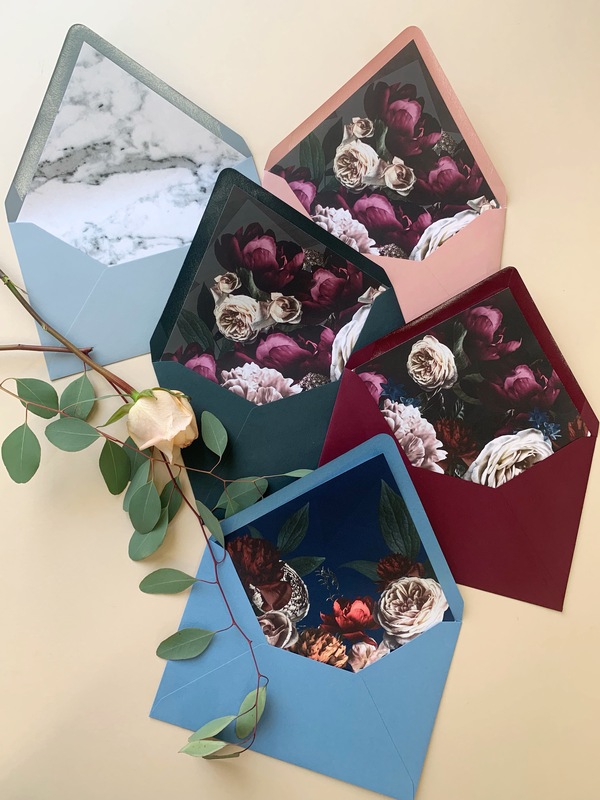 Your envelopes will arrive to you pre-printed. 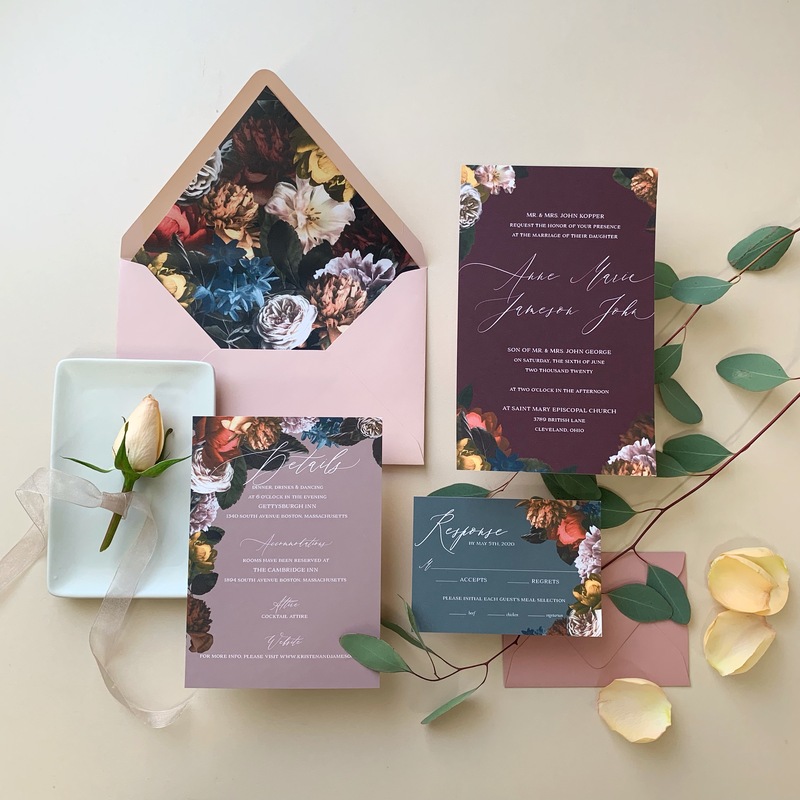 You select your background color for each card, your envelope color(s) and which floral arrangement you’d like! 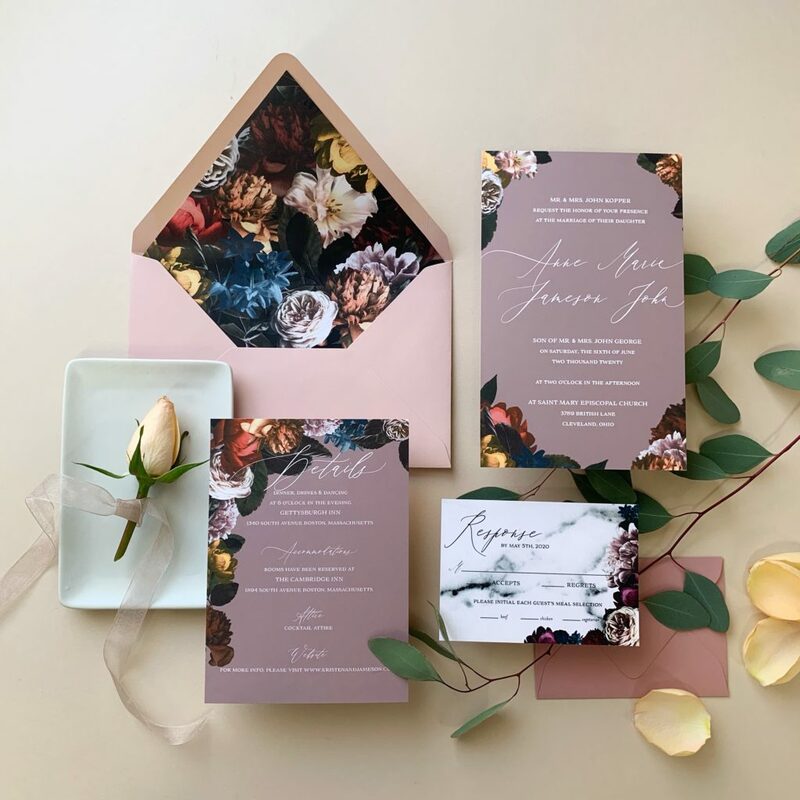 Depending on your paper and color selections, the Kristen suite will take approximately 3-5 weeks to be customized, produced and shipped to you, once your final artwork has been approved.